My friend saw this and remarked, oh poor lady bug. Not so, it’s fantasy and the title says it all. I have been told I have an odd sense of humor. I painted several of these at an artist in residence weekend in Santa Fe. They sold out at the show, you can still get one because I painted more. Very fun and the little snake could slither right off the canvas. Materials: Original acrylic on canvas. 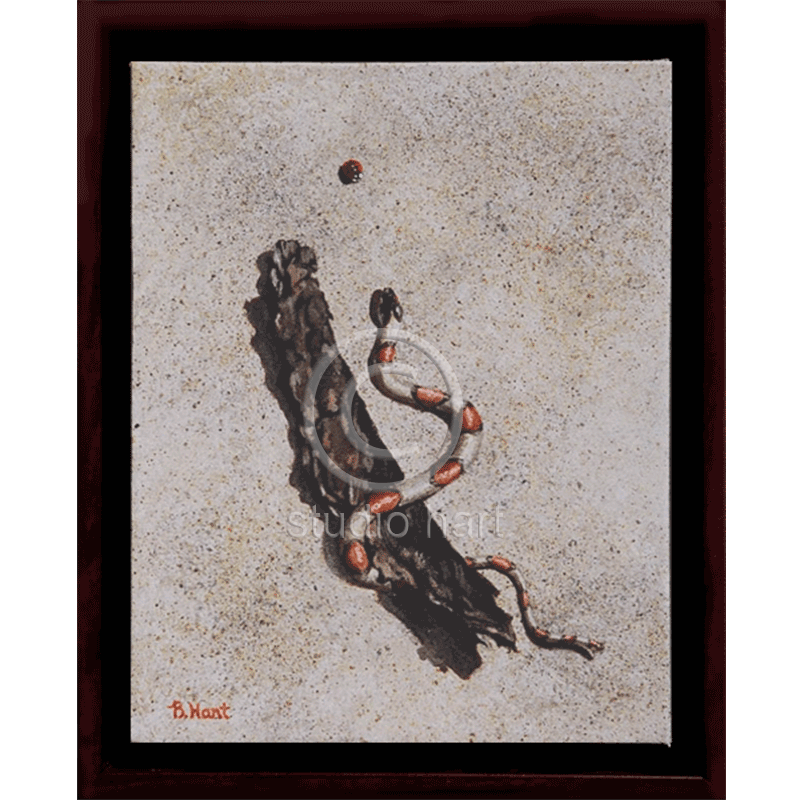 Dark brown shadow box, solid wood frame.